A French term used to describe small to medium sized wheels of cheese that are produced on small farms throughout France. Also referred to as "Tome", this cheese is typically made with any cow, goat or ewe's milk remaining after the larger volumes of milk have been shipped to cheese factories. The cream is removed from the leftover milk to produce butter and the skimmed milk that remains is used to produce the Tomme cheese. This method of production, which requires smaller volumes of milk, results in a cheese that is low in fat. At times, a mixture of several of the three milks (cow, ewe, and goat) will be used to make a Tomme cheese. 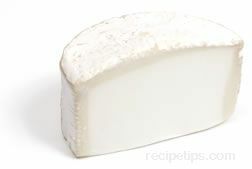 The cheese is most often produced with a hard grey outer rind, containing some mold spots, covering a semi-soft, creamy-textured cheese with a mild flavor. It is a cheese that is sold fresh and is made to be eaten soon after being produced. The different varieties of Tomme cheeses are named by using the village name closest to where they were produced. As an example, Tome or Tomme De Banon is from the village of Banon in Provence, France. 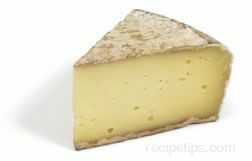 There are numerous Tomme cheeses made which include some of the following: Tomme de Savoie, Tome Alpage de La Vanoise, Tomme de Lullin, Tomme de Thones, Tome de Chevre, Tomme D'Arles, Tomme De L'Aveyron, Tome de Banon, Tomme Du Bougnat, Tomme Capra, and Tomme De Montagne.